We are roughly half way through renovations at our White House on the Prairie. 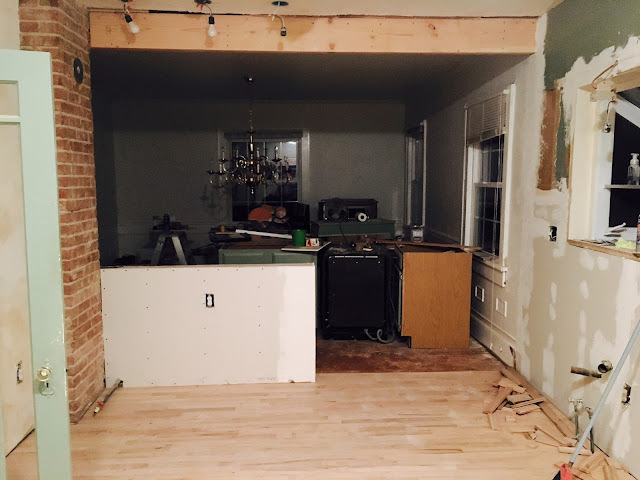 Everything has gone so smoothly [knock on wood] and we are anxiously awaiting completion. It has been so fun to see my ideas and designs become a reality as the house starts to take shape - it is all coming together just like I envisioned and I couldn't be happier! Side note: if anyone wants to buy our old house, it will be on the market next week! The open house will be Sunday, January 8, from 2 - 4. Email me for more information or keep an eye on Verbode's website! Choosing paint colors has probably been the most difficult part of the entire renovation process. There are way more than 50 shades of grey, you guys. We decided on wood floors for the kitchen, white hex tile for the bathroom floors and white subway tile for the showers and kitchen backsplash! Classic Joanna. There will be "rococo" countertops and white cabinets in the kitchen. We also have started collecting new furniture - I am so excited to get in there and figure out where everything goes! I've always dreamed of being an interior designer so I feel like I'm fulfilling my destiny. One of my favorite parts of the house will be a reclaimed wood vent hood cover that will go over the stove. My dad is making it for us - it will be so special to have a handmade piece in the heart of our home. I can't wait to show you the finished product - and everything else that goes with it! This was taken in the beginning stages of the master bathroom addition - it actually has four walls and a shower, now! 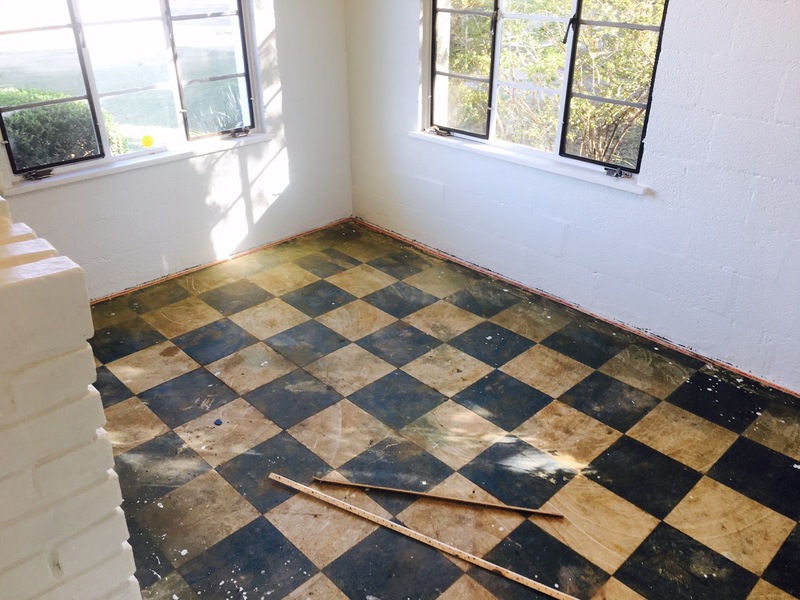 Check out those grocery store floors in the sun room! They will be stained/painted concrete...eventually! I chopped so many branches you guys. Then I tore my shoulder. This is the countertop we chose for the kitchen. It is called "Rococo." Current kitchen situation. Floors installed but awaiting stain. Cabinets and backsplash coming soon. Chloe & Kylo (mostly just Kylo) are really excited to move to a house with stairs. Paint samples! We are going with "Repose Gray" (bottom) for the main living areas and Dorian Gray (second from bottom) in the kitchen. Bathroom floors are on deck! Our master shower is nearing completion! I'm obsessed with the penny rounds on the shower floor - they were in our hotel shower in NYC and we knew right then we had to have them! I can't wait to show you more progress, as well as before and after pics, as we get closer to move-in. Stay tuned!